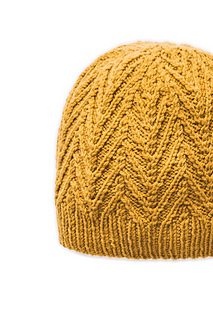 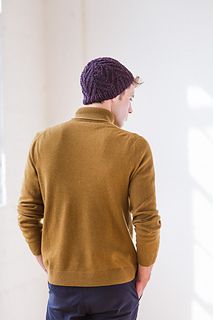 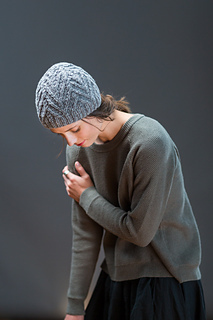 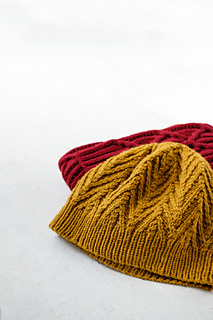 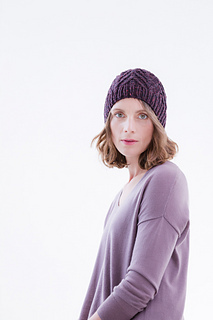 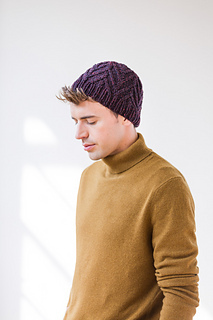 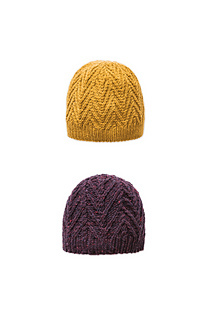 A cabled beanie at two different scales gives you gift-knitting options for the whole family. 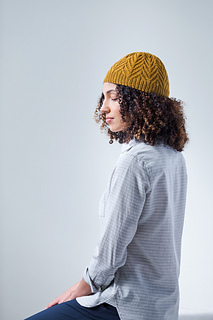 A single-rib brim feeds cabled spires with deep chevrons of traveling stitches that culminate in a perfect five-pointed star at the crown. 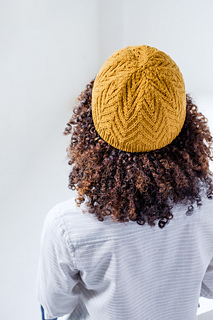 Work in Quarry for a warm and quick-knitting cap with deep, soft texture or choose Arbor for vivid definition and a more ornate effect.